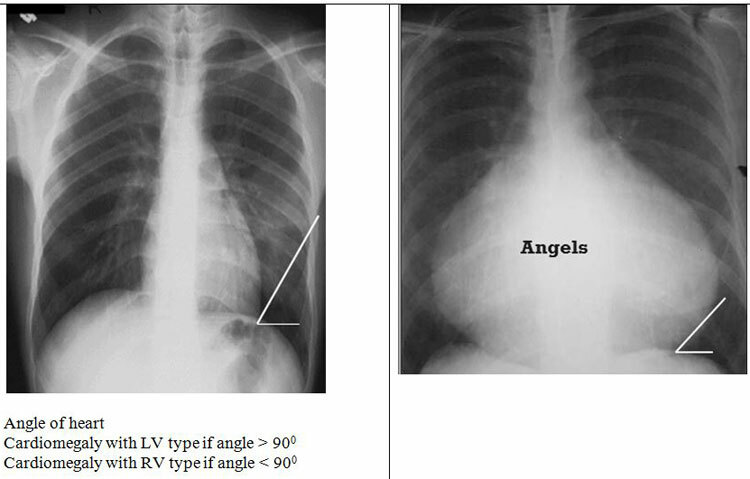 Chest X-Ray | A Short Review on X-Ray Chest. 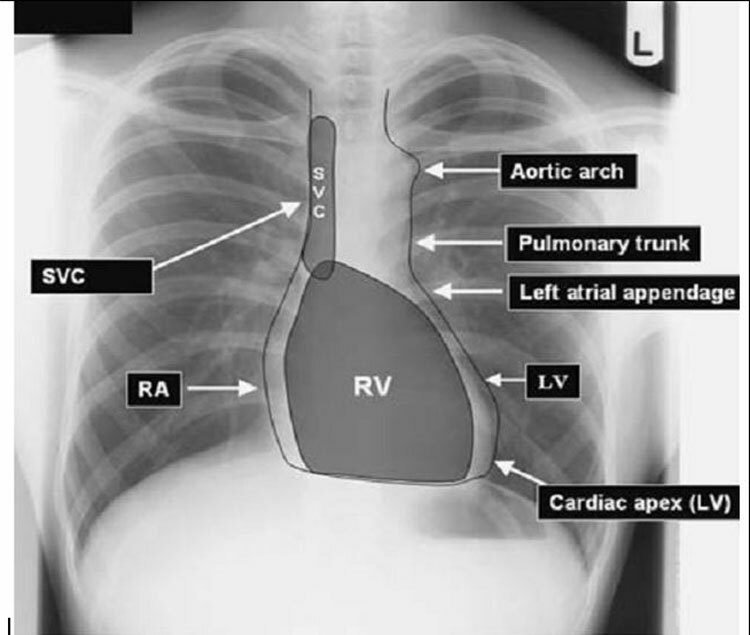 The chest X-Ray (CXR) is performed to evaluate the lungs, heart and chest wall. 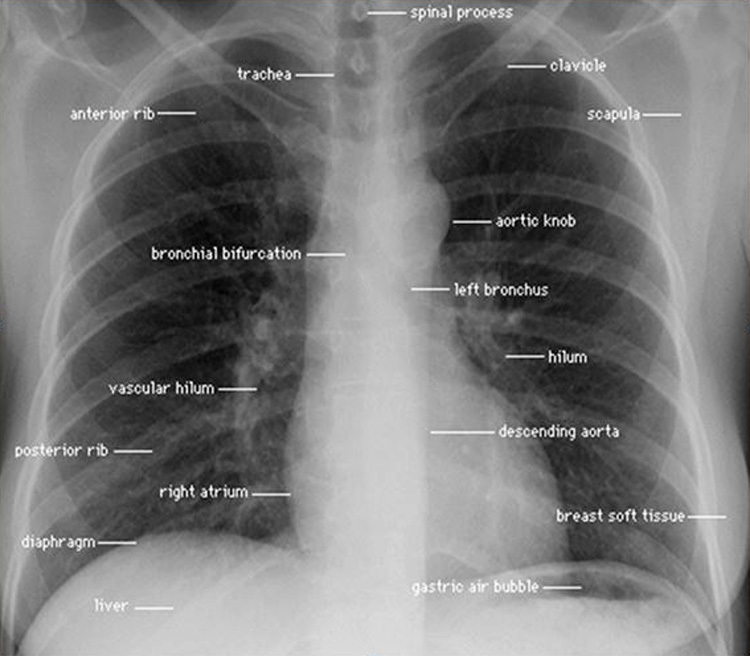 Normal CXR is taken with the patient in an upright position. 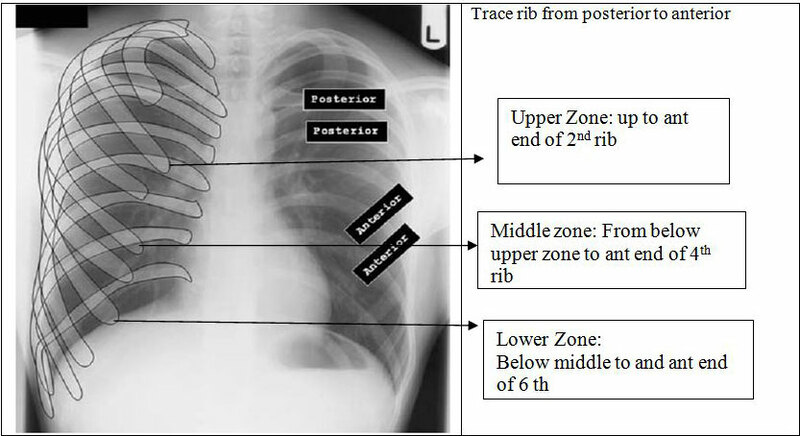 Routine Chest X-Ray is taken in a frontal view which is referred to as posterior-anterior or PA view. The other views of CXR include lateral view, apical view and lateral decubitus views. First look at the trachea whether it is shifted or not. Normally anterior end of 6th rib touches the diaphragm and posterior end of 10th rib touches the diaphragm. The Diaphragm will be told low if 7th rib touches the anterior end and 11th rib touches posterior end. · milky and bright white than that of consolidation. · Now look angle (costo and cardio phrenic ) it will be obliterate . This two are the more important point of pleural effusion . · Now look at upper border it will concave upward. · Now carefully look vascular marker with comparing the opposite u will see that it absent. This entry was posted in Health, Medicine, Modern Treatment and tagged Chest Radiograph, Chest X-Ray, Chest x-ray abnormalities, X-Ray of Heart, X-Ray of Lung by Result Gov BD. Bookmark the permalink. Thanks for this kinda medical post. Thanks for Chest X Ray interpretation post, its a great post. Vai Thanks this post is very usefull in any person or medical students.